Peppa Pig is not new to controversies. Over the past couple of months, there has been a flurry of media coverage focusing on the unlikely figure in the children’s cartoon. At recent a 2009 episode of the show has upset the London Fire Brigade with its use of the word, ‘firemen’. It did not go well to the firefighting agency who just launched its #Firefightingsexism campaign presumably to attract more female recruits to the industry. 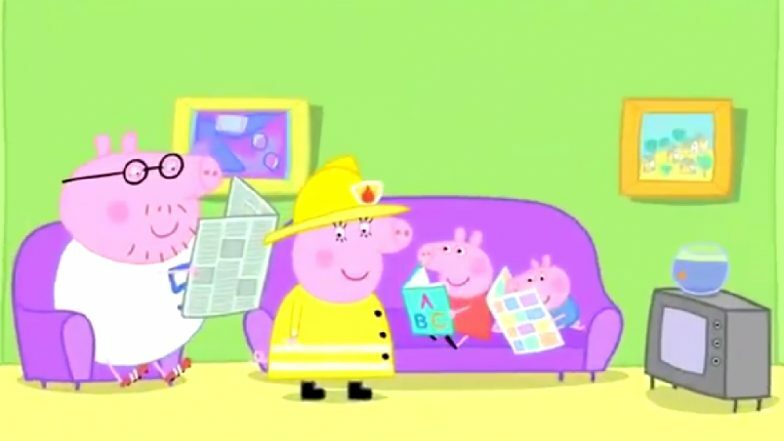 According to the London Fire Brigade, the British cartoon uses, “out of date stereotypical gender-specific wording [that] prevents young girls from becoming firefighters.” UK School Warns of Suicidal Content in Peppa Pig, Fortnite and YouTube Kids Videos. While some agreed, many felt that the organisation was aiming at the wrong target. Going through various tweet responses, it turns out that the clip is ten years old and the infamous episode associated storybook features many women firefighters. This is not the first time that the popular show; which airs on Nick Jr. and Channel 5 in the United Kingdom has caused a spot of bother. There have been many occasions when the British animated character left everyone a bit hot under the collar. Be it the parents’ concern in 2010 over Peppa Pig not wearing seat belts or China banning the character as it ended up featuring in gang-related rap videos and tattoos; Peppa Pig is not new to controversies.